Excellent model for live performers who crave comfortability. Players will find a firm favourite in the Ibanez TCM50-VBS Electro Acoustic Guitar, and anyone who doesn’t own one is missing out. Straight away it’s hard not to notice the glaring difference between this, and its garden-variety counterparts. 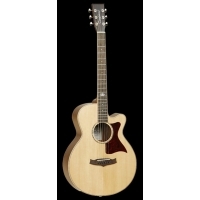 If you want an electro-acoustic guitar that’s going to get you noticed, this is it. Beyond looking good, this body shape has real purpose. 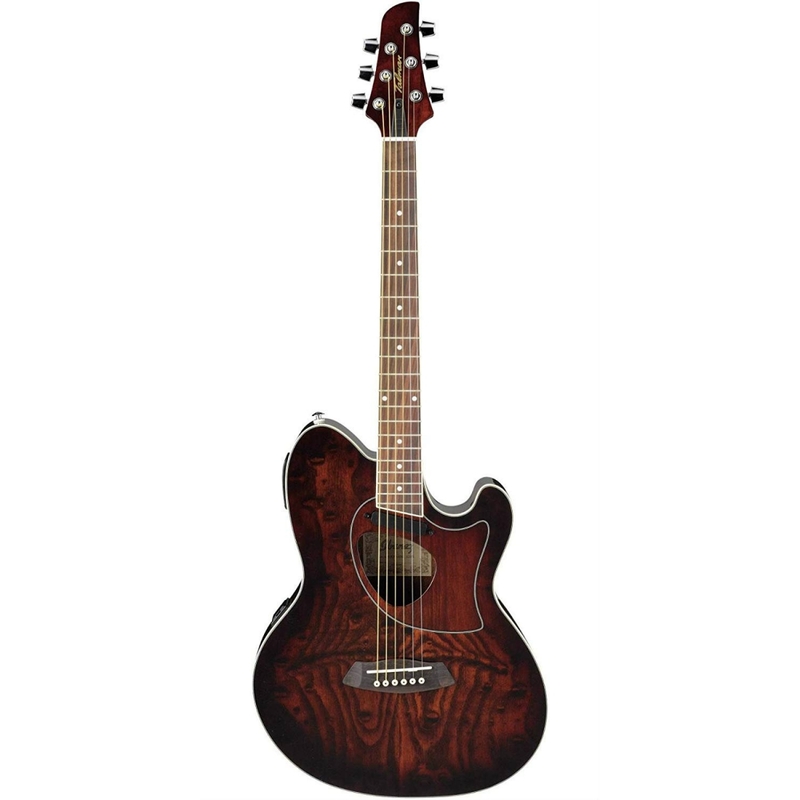 With its compact, lightweight, double-cutaway design, the Talman body shape appeals to players who crave comfortability in their instrument, as well as killer tones. 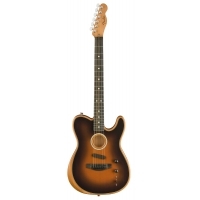 Appealing to electric players, with its comfortable, familiar curves, the Ibanez TCM50-VBS loses none of its acoustic appeal, which is what you’re here for after-all. Familiar to players of certain Fender guitars, ash has been used to construct the top of the guitar, giving a particularly bold and uniquely curved grain that benefits nicely from its sunburst finish, along with a bright, hard tone. This is balanced out by the mahogany put in place at the back and sides, which account for guitar’s warm, rich, more powerful tones. The tones can be translated via your amp or P.A system’s speakers thanks to the onboard Ibanez AP2 magnetic pickup and AEQ200M preamp. This pickup ensures a wonderfully fat and warm sound comes through, and the preamp gives you quick access to a two-band EQ (comprised of treble and bass) and volume controls for on-the-fly tone/level manipulation. Of course this would all mean nothing if the Ibanez TCM50E-VBS Electro Acoustic Guitar wasn’t as playable as it is. If there is one thing you can always count on with Ibanez, it’s their necks and of course this guitar does not disappoint. True to form, the neck fitted here is thin and extremely playable, something that should be of instant interest to the electric players out there. The neck is partnered with a rosewood fingerboard, which boasts 20-frets that a decorated with dot position inlays. Partnered to this is a rosewood bridge, which is where you’ll find another small, but still significant, feature, Ibanez Advantage Bridge pins. These are designed to be easier to remove and replace when changing strings and they stay put once they’re in. Combined with the chrome die-cast tuners, you can rely on the tuning of this guitar.